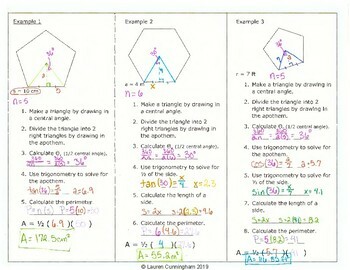 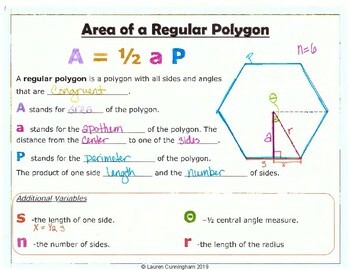 These notes explain what a regular polygon is and how to find its area. 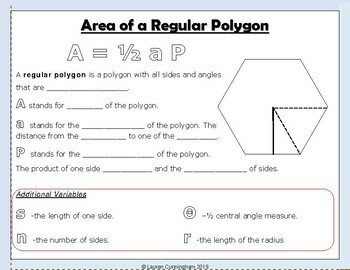 It includes detailed example problems that show how to use trigonometry to calculate the area depending on the information given. 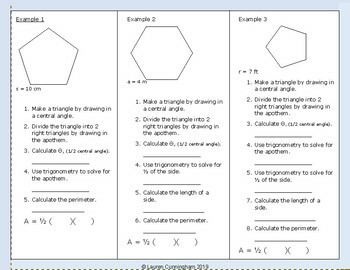 It can be used in as a class activity, an individual review, or many other ways.